The Maitland Institute is run by Tammi Glick, a director at Daleglen Property Group. At a cafe on Long Street, Tammi makes it clear that she’s not a curator but a facilitator of Maitland Institute – a new non-profit art space that was once a casings factory. This title, she says, allows freedom and fluidity when it comes to deciding how the large industrial space is navigated by the artists and audience. Online information about the institute is sparse. According to the about section of its website, “The Maitland Institute is a space in Cape Town dedicated to art and ideas.” Outside of Woodstock, the now gentrified art hub of the Mother City, and unlike galleries that operate with retail agendas, the Maitland Institute – where renowned artist Penny Siopis is currently doing a four month residency – offers something outside of the economic and political framework we’ve come to expect when interacting with certain art on public display. 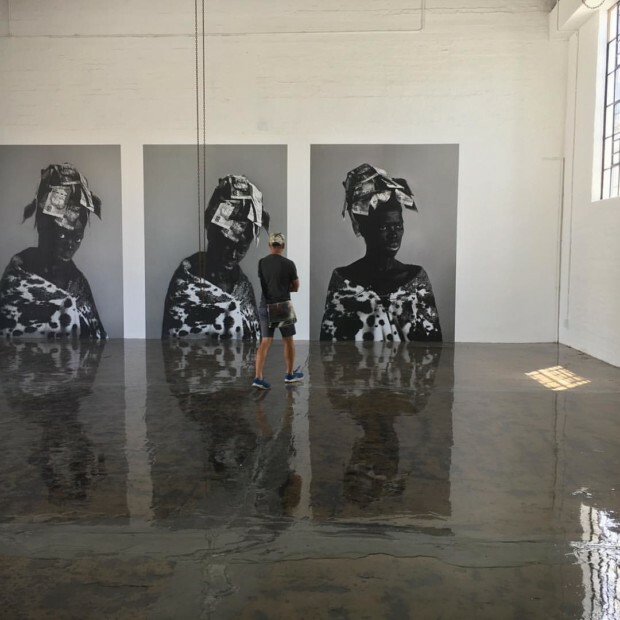 The institute opened to the public in February with an exhibition by photographer Zanele Muholi, titled Somnyama Ngonyama.“The idea is to start with well-known artists and provide the public with an accessible way to interact with them. I’m fascinated by how many artists say they really miss having an environment where they can talk about their work outside of the university context,” Tammi explains. Take visual artist and lecturer Penny Siopis, whose #openforumopenstudio residency has enabled people to watch her work on larger-than-life canvases and attend informative, yet casual talks about her process and work. This kind of dialogue fosters a connectivity between artist and audience, richer than glancing at a painting and its explanation on the wall. “Penny has been generous enough to create the open studio in the way that she has. Maybe it’ll set a trend but that’s not the expectation of every artist. She loves teaching and she’s established enough in her career to do that – I don’t expect every artist to,” reiterates Tammi. 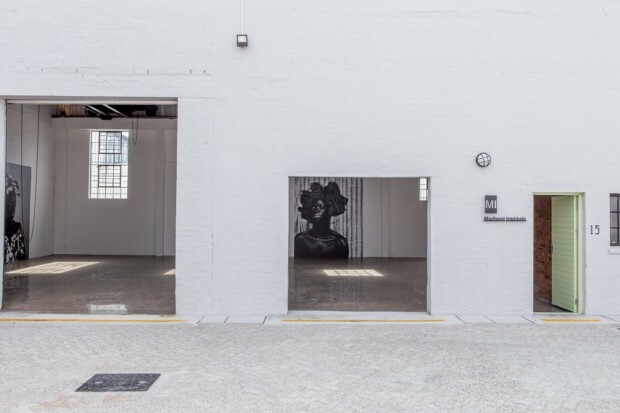 Cape Town has an abundance of art institutions and events – the highly anticipated Zeitz MOCAA opening in September, the Cape Town Art Fair, The Institute for Creative Arts, not to mention numerous galleries operating year-round – but the Maitland Institute seeks to fill a different niche. 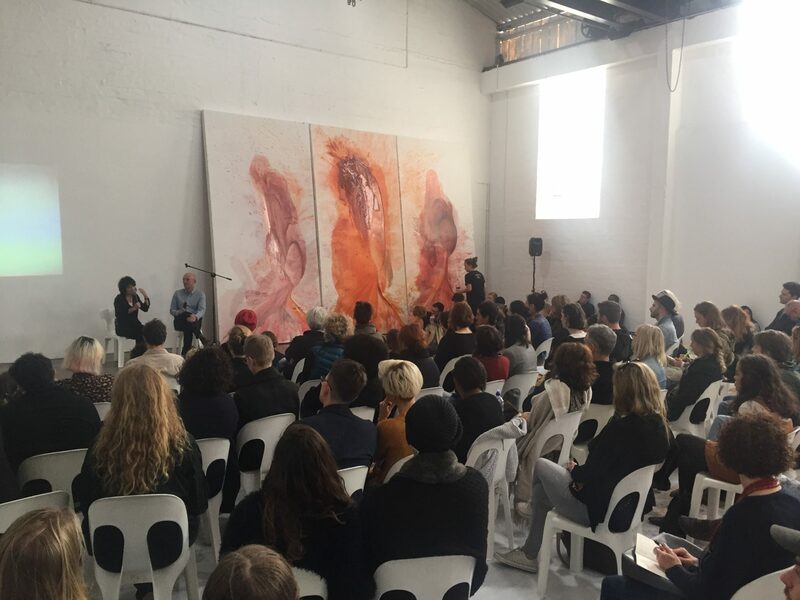 To tourists and the privileged, Cape Town is a beautiful city with a thriving art scene, but for many, formal galleries are perceived as elitist spaces and reserved for those whose affluence affords access and education to appreciate the works exhibited. This is something the Maitland Institute hopes to address by being a dynamic space cognizant of the conversations that are happening in Cape Town. Given the rapid gentrification happening in Woodstock and the surrounds, one can’t help but wonder how to view the institute within the context of “urban renewal” and Maitland, a mainly industrial neighbourhood. We ask Tammi about it. “It’s a difficult question to answer. There are homes in Maitland but this was an industrial space. I’m comfortable knowing it has always been industrial. Creating the space hasn’t affected anyone’s home. It was a disused meat factory. I wasn’t not going to [start the institute] for fear of comment,” says Tammi. At this stage, the institute doesn’t accept artist proposals. Both Zanele and Penny said yes when Tammi offered them an opportunity to work with the institute. Although she isn’t opposed to exhibiting works of male artists, she does emphasis there will always be a strong focus on women and contemporary art. The idea going forward – inspired by Penny – is that each exhibition will run concurrently with a talks or education programme to create dynamic and meaningful interactions between artists and audiences. “My interest is in finding a space where comment is made. I think that artists know what’s happening in the world before the rest of us and they make incisive comments through their craft,” Tammi concluded.